The poaching crisis in Africa has been escalating so steeply of late that experts fear they could be nearly wiped out within a decade. 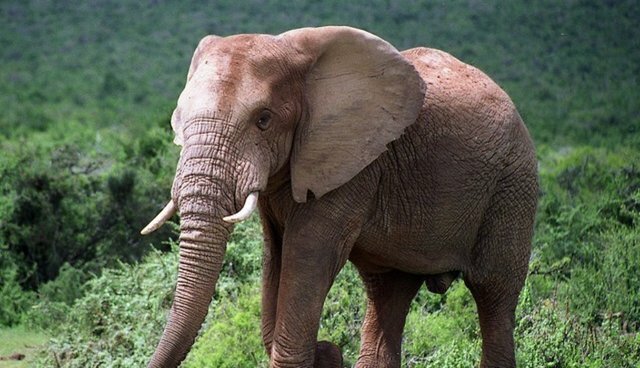 More than 20,000 African elephants were poached last year alone for their valuable tusks. "If the same trend continues, in the next 10 years, we may lose practically all of the elephants in central Africa," Tom de Meulenaer, senior scientific officer for the Convention on International Trade in Endangered Species of Wild Fauna and Flora (CITES) told Al Jazeera. The demand for ivory, strongest in places like China and the U.S., is one of the largest illicit trades on Earth. It's no wonder -- the trade is lucrative. "A single elephant can yield 10kg of ivory with a market value of about $30000," said Will Travers of the Born Free Foundation, "and the trade itself is worth as much as a billion dollars a year." Not only this, but poaching and the ivory trade have been connected to arms trafficking and terrorism, most notably the group Al Shabaab. There are ways to help stem the tide of poaching, though. Wildlife tourism is a promising option (though it's not without its caveats). "When people ask me, 'How can we help? ', I say: 'By taking a safari.' Wildlife-based tourism pays the bills that keep the game parks and their wildlife secure. Without the tourist dollars you might as well hand over all the remaining wildlife to the poachers." You can also support groups that are helping to stop poaching like the International Anti-Poaching Foundation, WildAid and Save The Elephants, and pledge below never to support the ivory trade by buying ivory products.